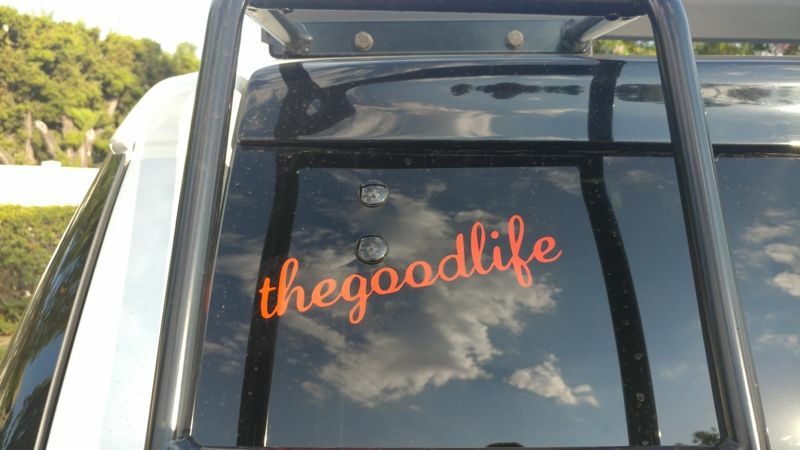 Toyota FJ Cruiser Forum > Toyota FJ Cruiser Forums Site Functions > Toyota FJ Cruiser News > Rig of the Month March 2018: jamesepoop!!! Rig of the Month March 2018: jamesepoop!!! We'd like to congratulate jamesepoop – James for having the March 2018 Rig of the Month. James:First off, thank you FJCruiserForums! Oh my, what an honor!! And where to start. I’m James. Born and raised in southern California. I’ve been a little bit of everywhere, getting some experience and learning all the time. I’ve aged 34 years and went to school at UC Santa Barbara years ago. Up north, I earned my first (pin) stripes and the grit for offroading in a Jeep ZJ Grand Cherokee and dirtbikes. My hobbies have always been something hands on friendly. I’m a big advocate of world travel. However you get there, just get out there I’ve been back in California for the past 6 years and found a career in the electronics test engineering field. If you’ve flown in any commercial or private airplanes lately, most likely you’ve used our components. On the side, I’ve been pursuing freelance photography. If you follow any of my posts, sometimes I share stuff from my work in the field. In the near future, I’m looking to move up to the Pacific northwest to pursue more opportunities and experience more of the great Americas with my fiancee. Hayden: What is the story of how you got your FJ Cruiser? James: I wasn’t looking for one at first. I saw my first ever voodoo blue on the Lake Naciemiento Trail near San Luis Obispo, CA in 2007 and it was coming down a muddy path that looked all too narrow for it’s chubby wide stance. It was imprinted in the depths of my medial temporal lobe ever since. While it sat latent in my memory, I had completely forgot about the FJ. Fast forward 10 years, I was planning to buy a car for my fiancee. 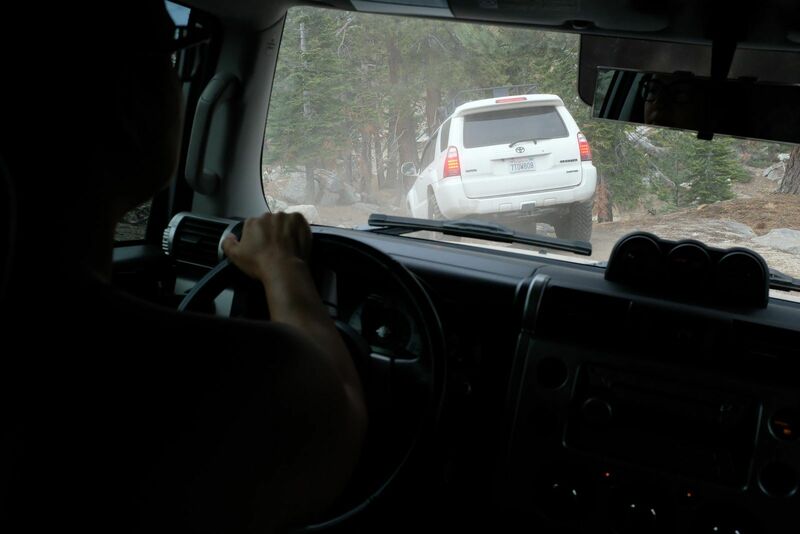 What better timing than now and we all know the FJ is a mighty tank when it comes to safety. Surprisingly, a conversation came up with my co-worker about him being interested in an FJ or built Jeep Wrangler. I had a little background with the Jeep ZJ and I knew of it’s infamous issues so I fully supported his decision for an FJ. Since that conversation, I got to researching and was looking for my girl’s future car. Well, long story short, I found her FJ! BUT, a big BUT, she wasn’t completely sold on the FJ and I rushed into purchasing after looking at only 4 vehicles Secretly... I just wanted the FJ all to myself, so I started to make this FJ my own! 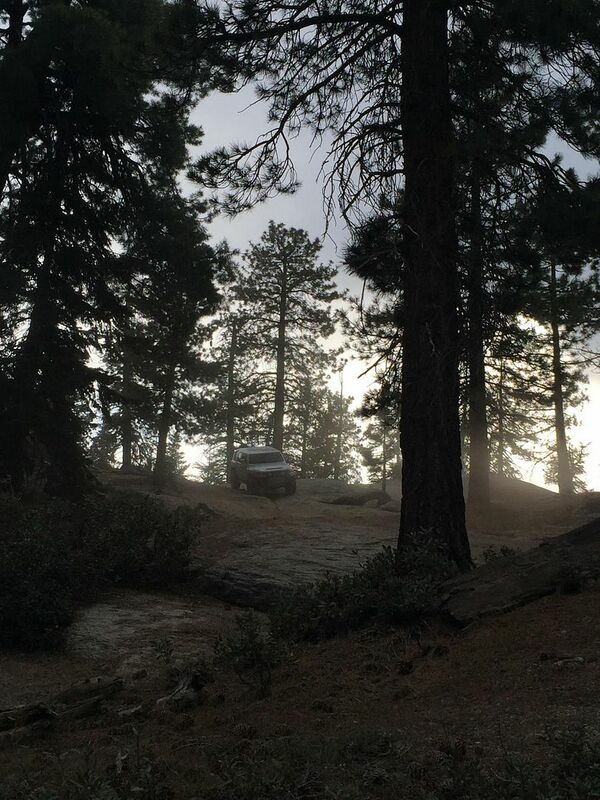 Hayden: Is the FJ Cruiser your first off-road vehicle? 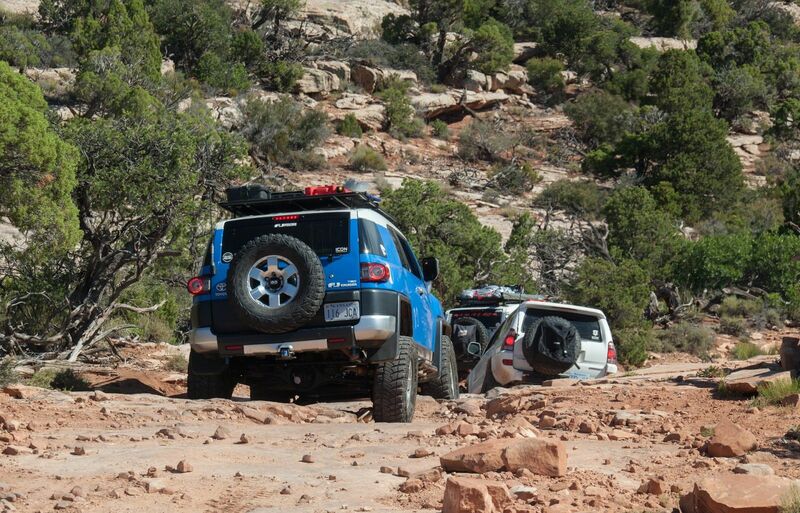 If not, what was the first vehicle you took wheeling? 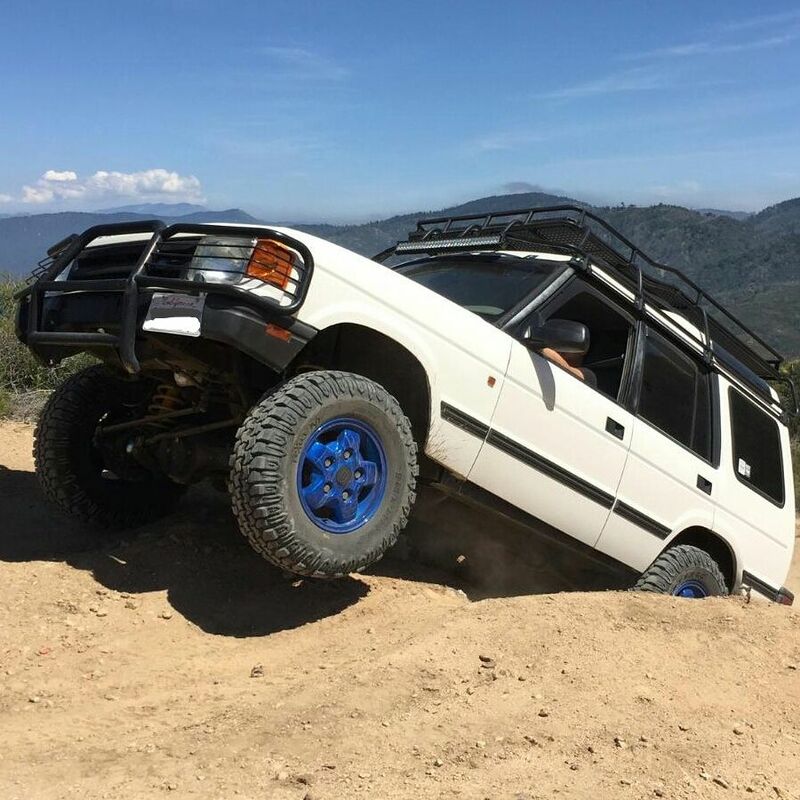 James: My first personal off-roader was a ‘96 Land Rover Discovery I. I know there’s a few of us here from the LR camp that have moved on to the Toyota family and I’m really glad that I made the jump. With the my first vehicle, I found out about the importance of line selection. It does not have all the bells and whistles of electronic traction so you learn quickly or get stuck. Krunch, thane, amaclach and 8 others like this. Last edited by FJX2000; 02-28-2018 at 10:56 PM. Re: Rig of the Month March 2018: jamesepoop!!! Hayden: Do you have any key modifications that are unique and only found on your FJ Cruiser? James: A silver roof? When I first acquired the FJ, someone vandalized it. At the time, I requested the roof panel be painted matching silver to the body. The body shop agreed but I was out of town and didn't specify the upper panels. To be honest, I wouldn’t really say anything is unique to me. I pulled my inspiration from many of the builds on here and found parts that fit my taste. If it’s something that wasn’t readily available, then I would DIY fabricate the piece I needed much like anyone else here. While it’s not really unique to my FJ, I’d crank out some ideas and put my own spin on it. Hayden: What modification has been your favorite or has been the most worth the money/time/effort to the point that you’d recommend it to someone else? James: It’s difficult to choose just one favorite! 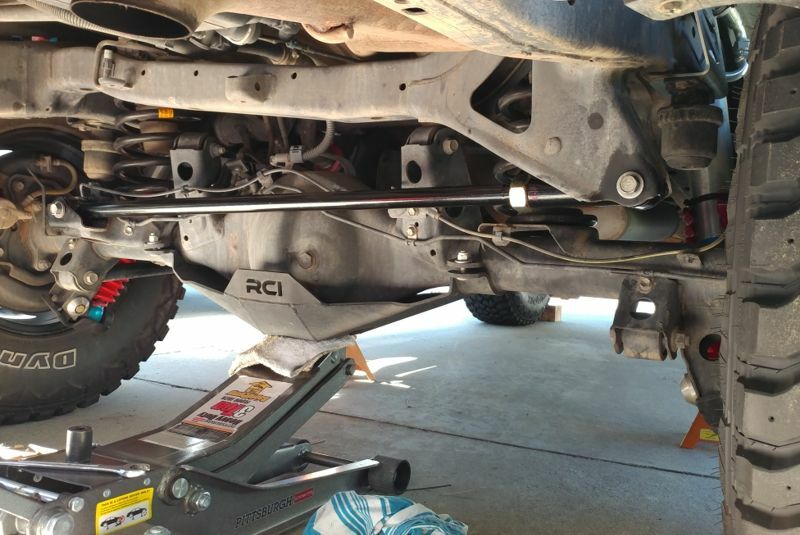 I’d probably have to say removing sway bars is one of the tops. 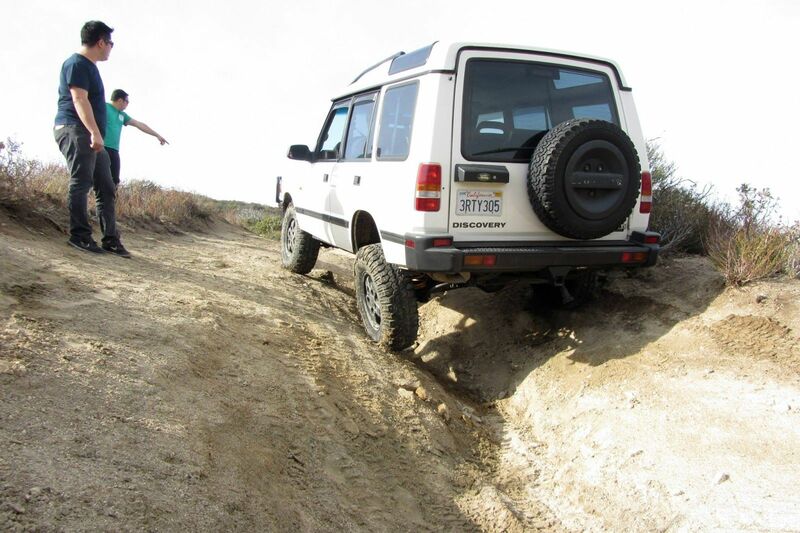 Fairly easy and it doesn’t cost a thing to improve driving offroad. Next is tires. Tires are the game changer. It’ll help take you places you could probably never make it on street tires (safely, that is). 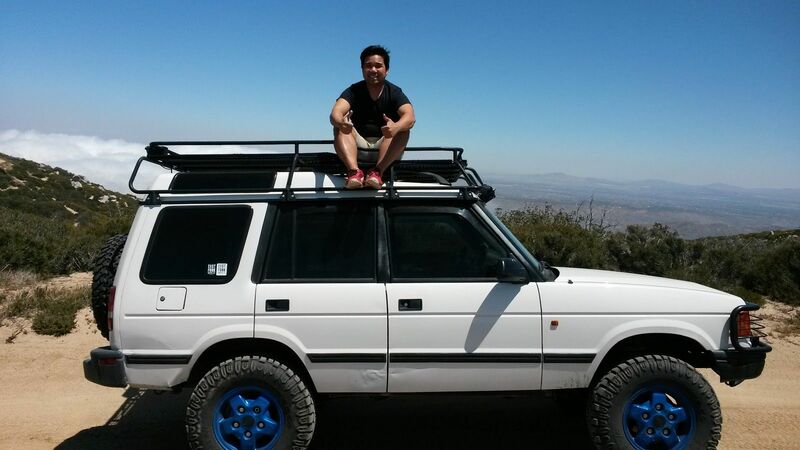 While I was on stock suspension, I had some 295/75R-16 mud terrain tires that made it a beast on the trails. Hayden: What upgrade has been your least favorite, or what modification would you do differently if you could do it over again? James: I would have gone long travel from the beginning. 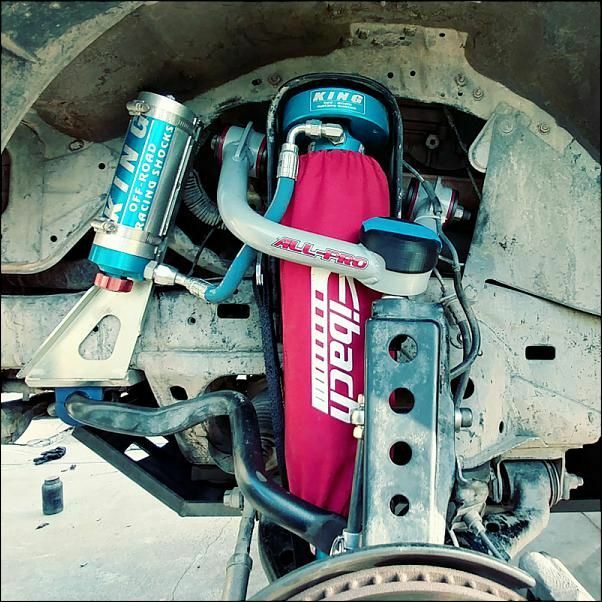 The cost is similar to building a midtravel/coilover set up with replacement arms. The saying doing it right or do it twice certainly holds true. 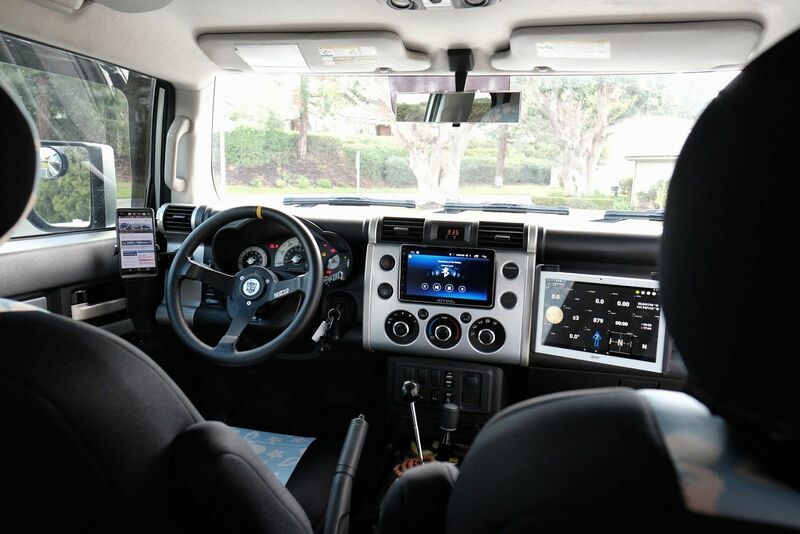 Hayden: What future modifications do you have planned for your FJ Cruiser? 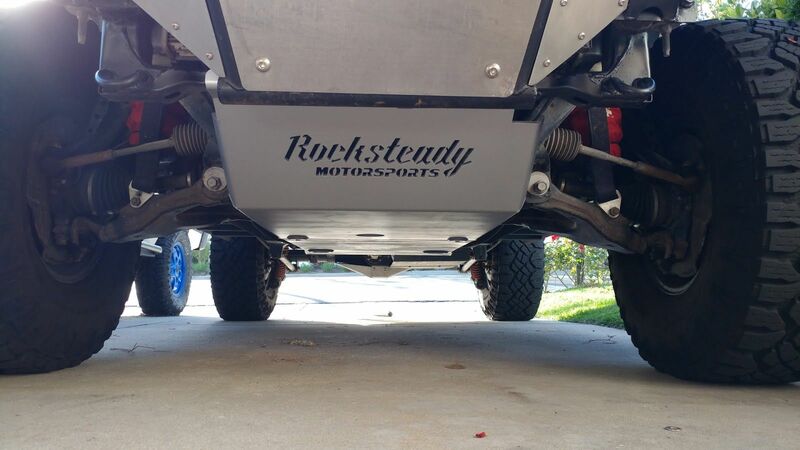 James: It’s a long list but for now I’m working on my frame and suspension set up all around. It’s something I’ve been looking forward to. Looking for some travel 13” up front and 18” in the rear if all goes well. My motor is stock and I’d definitely consider a power upgrade like a motor swap if it came to it, but that would be way, way in to the future. Hayden: What are all the places you've been with your FJC? And what trail/park/location is your favorite? 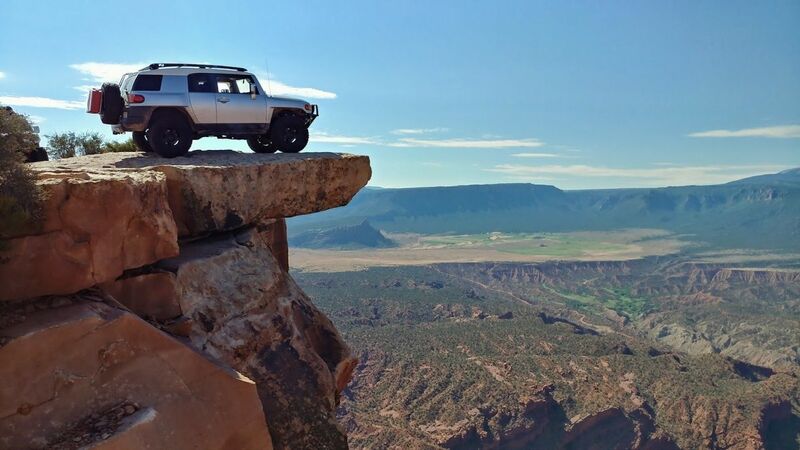 James: I haven’t been to many parks yet with my FJ, but I’m starting to rack them up. My favorite in-state park has to be Sequoia. Where I grew up, trees are scarce so heading out to Sequoia is out of this world. Can’t really put into words, but we drive FJ’s. It’s our therapy time out there. 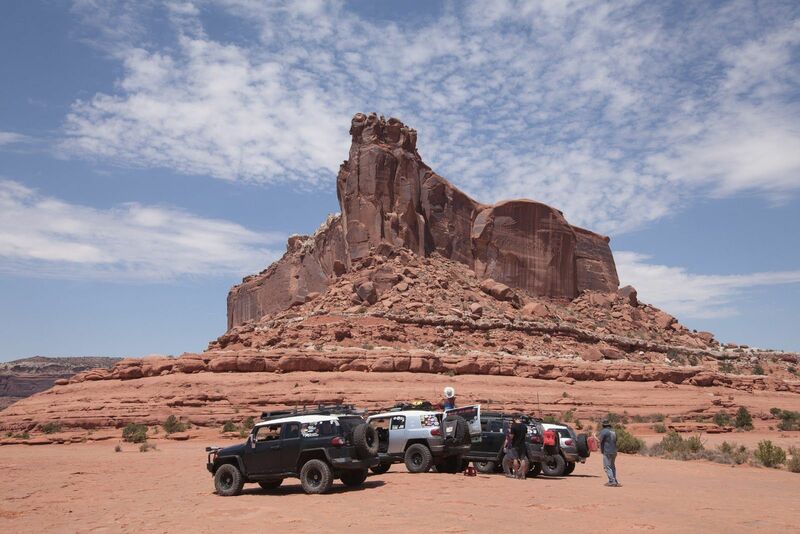 Out of state, it has to be Moab. Other parks, I’ve been lucky to visit but not in the FJ, were Death Valley, Canyonlands and Hoh National forest. 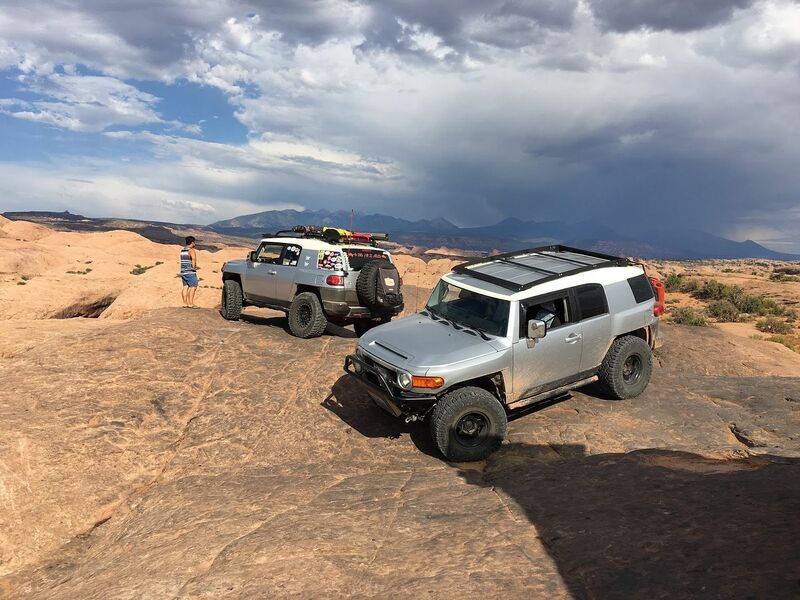 Hayden: What park/location have you not been to yet but would like to take your FJ to someday? James: Being from the west, I’d love to head east, to the Great Smoky Mountains, Shenandoah, Everglades, etc. I’ve only heard about from other travelers. 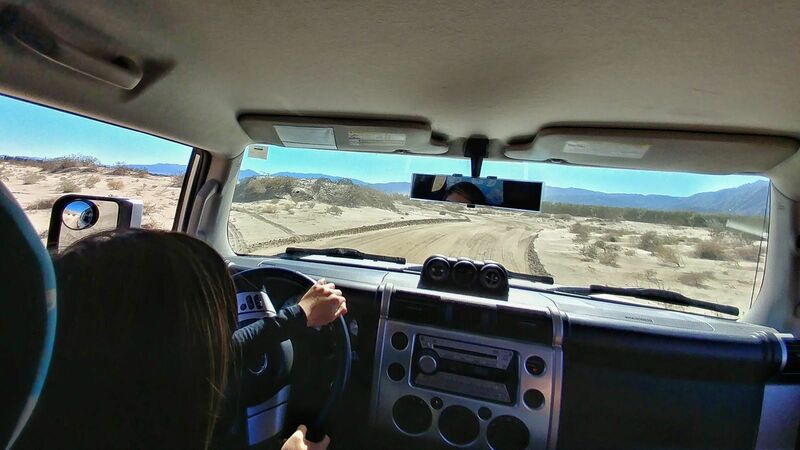 There’s really so much to explore in the US. I’ve barely traversed any of it. 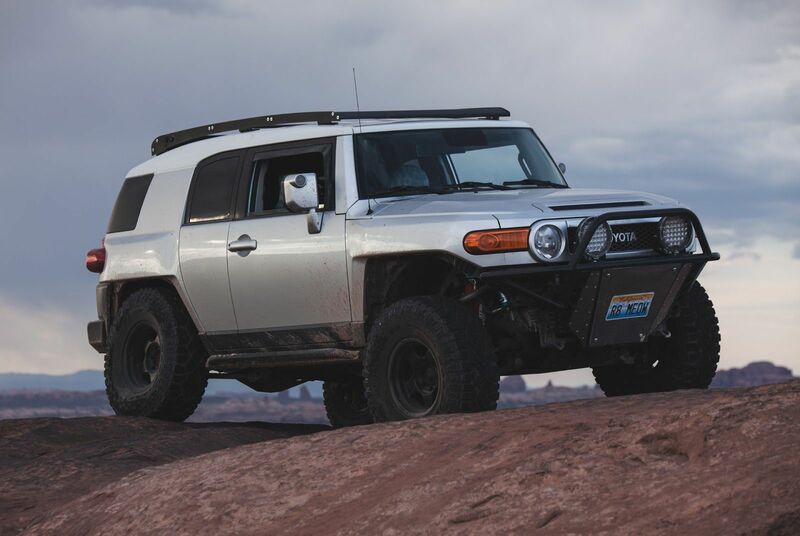 If I could ship my FJ somewhere, I’d love to overland the Silk Road, roughly 11,000 (s)miles of off-roading. 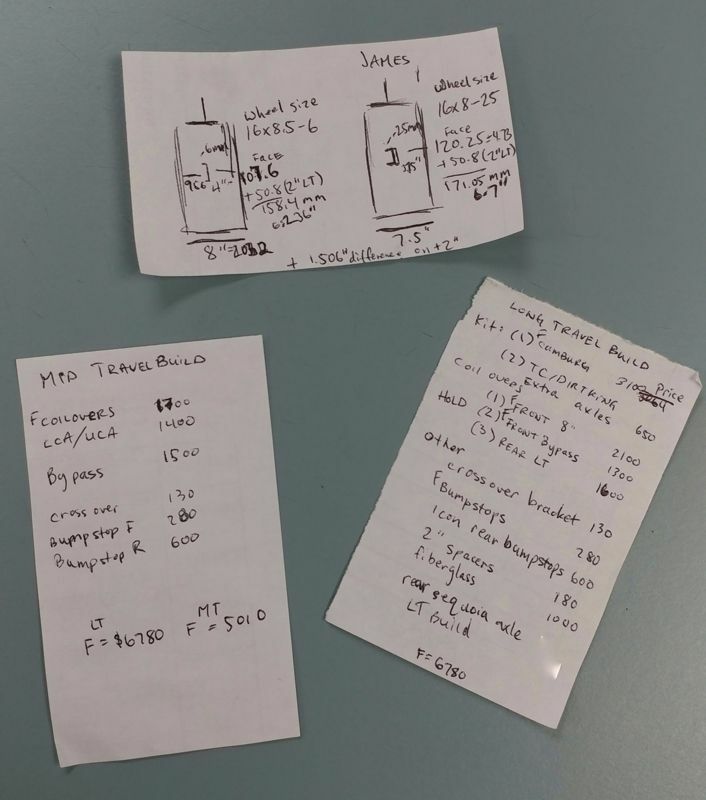 Hayden: Has anyone on the forum inspired your build or been a go-to resource for you? James: I definitely look back all the time. Thanks to our past FJ members, bless them because they did much of the R&D for us. As I mentioned above, I pick parts of it to build off that fits my taste. Examples, I looked to @TCao for his experience with King shocks when it was time for me to upgrade. Then, the forums was also graced with @Air2air ’s Uber FJ and @FJNewb were both running long travel with a custom linked rear suspension. Since I’m pretty much in the desert, I tend to prefer the builds that guys are looking to improve their high speed control. But I’m also lucky, I’m fairly close in proximity to many manufacturers and fabricators. They’re right in my backyard! Also there’s many current members worldwide that inspire me. My build is a culmination of what I thought was best for me from reading many of the posts. 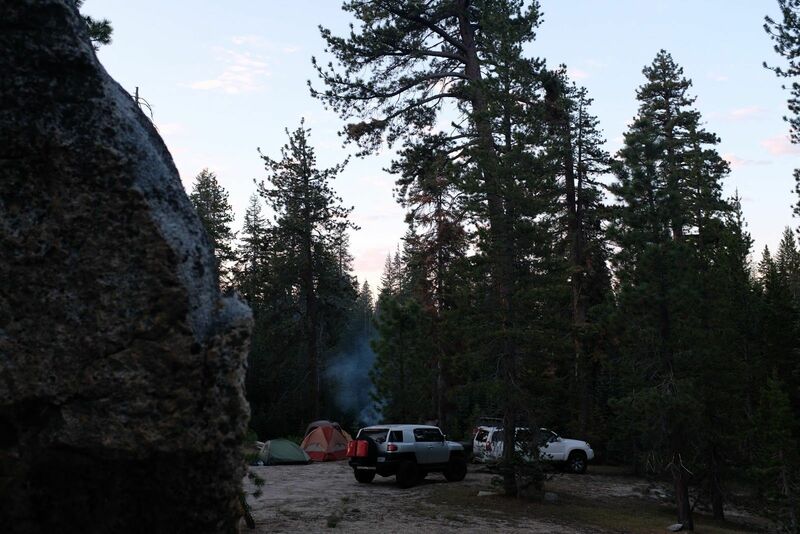 Hayden: What has been the most memorable experience with your FJ Cruiser? 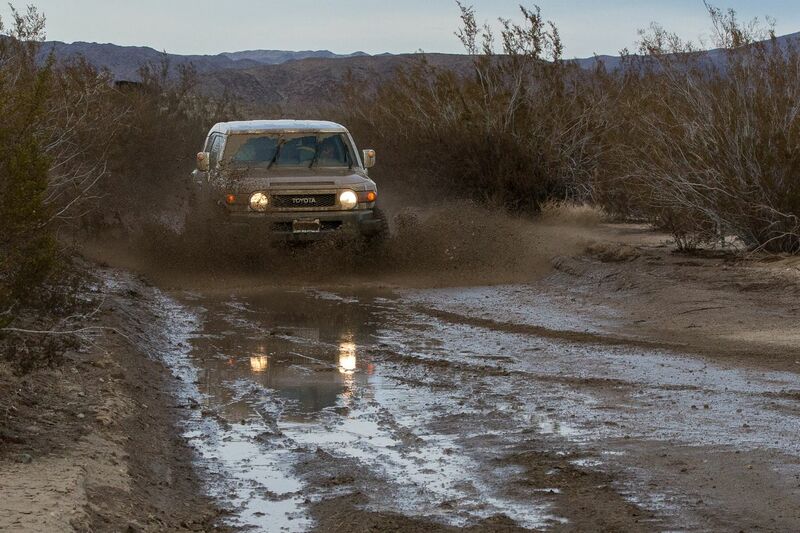 Hayden: If your current FJ were to bite the dust (knock on wood), what would be your next go-to vehicle? 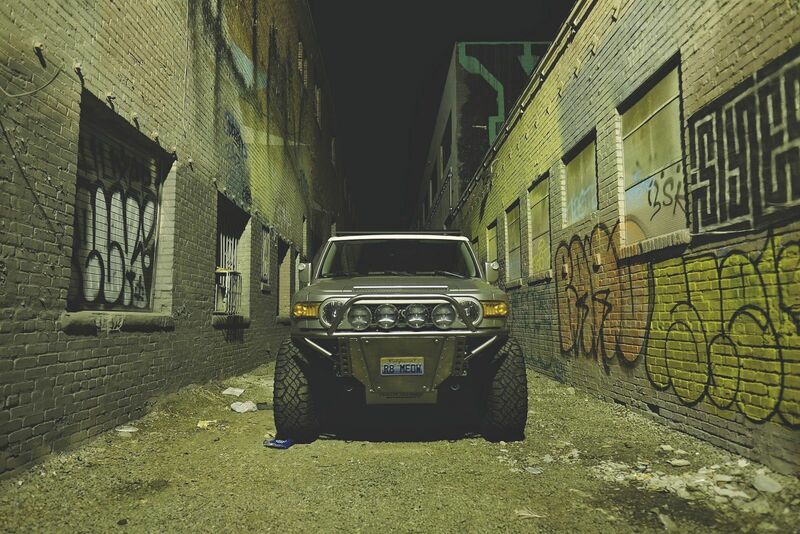 James: The FJ has charm and quirkiness like no other. 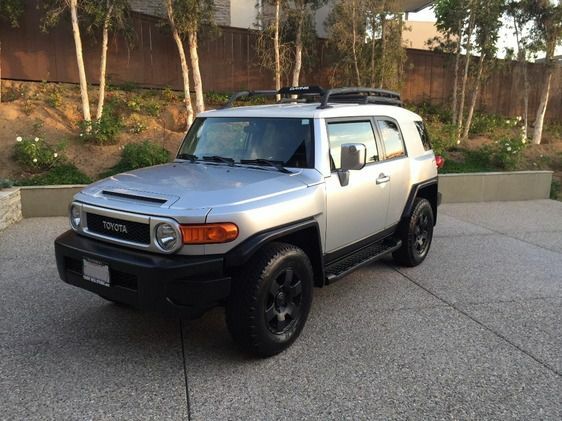 There’s just no replacement for the current FJ and I’m not sure if I’d be able to to build another (out of respect for my FJ) if somehow mine passed on to FJ heaven. I’d probably build a truck of some sort. Maybe a Tacoma Double cab or Raptor since I’ve found out how much easier it is modify trucks since they have more space to build. 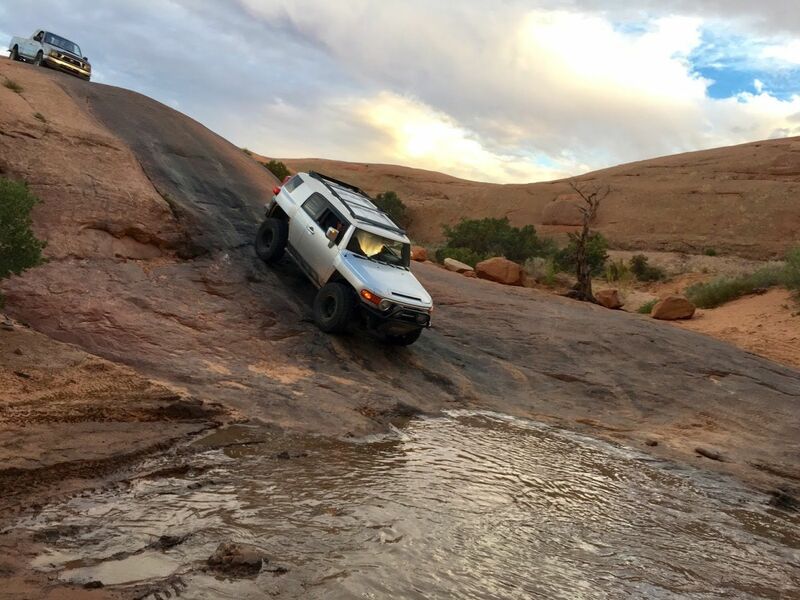 Hayden: Any additional thoughts about your FJ or FJ Cruisers in general that you’d like to share? 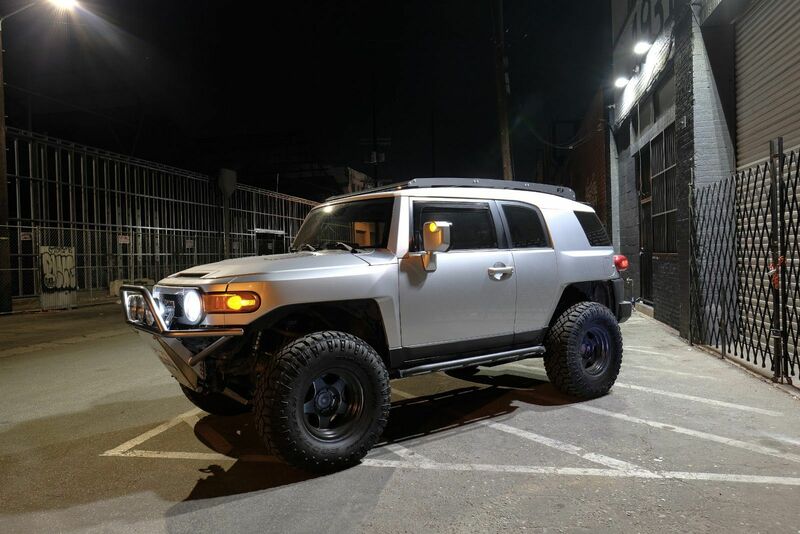 James: The FJ has been such an awesome vehicle. There’s many different types of owners and for all different reasons. I hope the FJ community understands that they’re a big melting pot of inspiration and I'm very appreciative of everyone's friendship that I've come across because I've been part of this family. The builds and daily mods continue to inspire me. “Build it and they will come..” But let's not forget to take time to enjoy it. Winterpeg, Krunch, Inglorious and 19 others like this. so funny about the roof...but truly unique! Thorn661 and jamesepoop like this. Great build and a great story, congratulations! Congrats! That's an epic read!! !